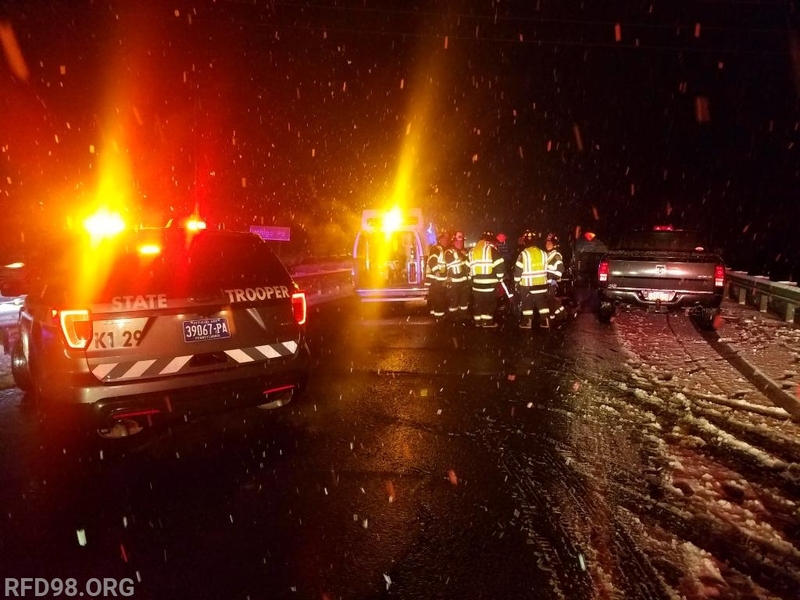 At 6:48pm Tuesday night, Royersford Fire Department units along with Black Rock Fire Company and Pennsylvania State Police responded to an accident on US-422 eastbound near the Mingo Rd overpass. The driver of the involved vehicle was the only occupant of the vehicle and transported to a local hospital for treatment by the RFD EMS Division. Eastbound 422 was shut down for approximately 15 minutes while crews worked the scene.